A menacing front view of a KUH-1 Surion helicopter of the Republice of Korea Army. Photo courtesy of Wikimedia Commons. I decided to break this off from another blog about the KUH-1 Surion helicopter I was writing because I thought that it was getting too long and I was presenting too much information already to comfortably read in one sitting. With this blog, I will be discussing the problems that were publicly revealed about the aircraft up to the time of writing. The first of the number of problems that the Surion has encountered over the years were the Cracks that were found on the left side of the aircraft near the Vibration Absorption Devices and on the Windshields as first reported by the South Korean media in May 2016. The cracks were present on four (4) out of seven (7) aircraft inspected, but despite this the Defense Acquisition Program Administration or DAPA, the South Korean government body that manages the Surion project, refused to ground the aircraft saying that these had no effect on its Flight Safety. The problem was supposed to have been solved by June 2016, but I could not find any follow up report confirming that. However, no similar cracking problems seems to have been reported in the Press since then. 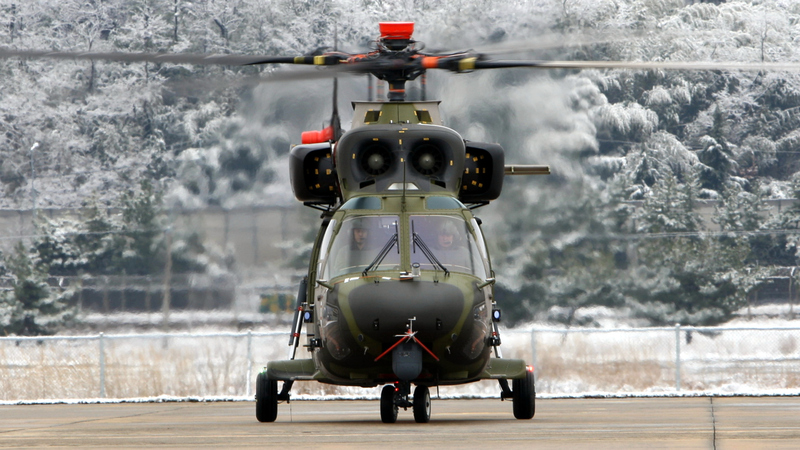 South Korea did eventually end up grounding its Surion helicopters a couple of months later in July 2016 when Airbus informed them that more than half of the Surions that were already delivered needed to have their Gearboxes replaced. The Gearbox contains gears that transfer power from the engines to the Main Rotor, and what happened was that one of the H225 helicopters that Airbus made crashed in Norwegia … er, I mean “Norway” … when its Main Rotor separated from the aircraft while in flight, causing the aircraft to crash and killing all of its thirteen (13) occupants. The cause of the accident was later traced to a defective gearbox, and the Surion’s gearbox is similar to the ones used on the H225, hence the need for the replacement. Airbus arranged to reimburse the South Korean government later, with the replacements completed by the end of 2016. 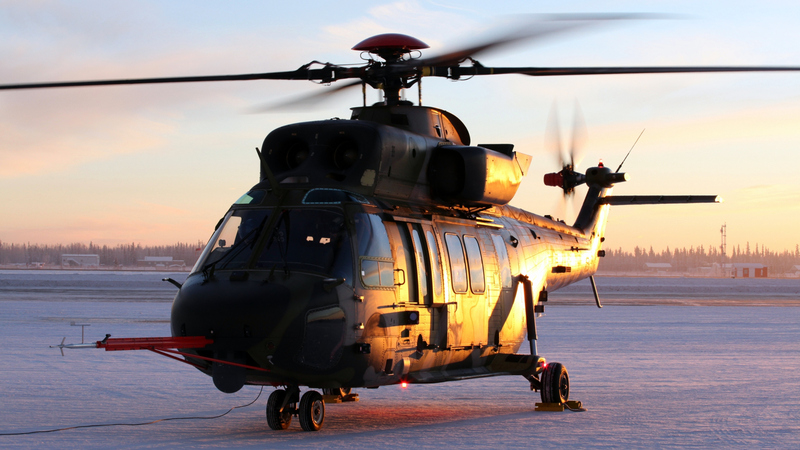 However, in February 2017, the Surion was grounded again when a seven (7) centimeter crack was found on the Main Rotor Actuator area during routine tests. I also couldn’t find a solid closure for this issue, but it seems the problem was solved since the Surion is flying again. Another issue revealed in September 2016 was an Icing problem on the Air Inlet of the engines during a Safety Test in the US. Apparently, in temperatures between 5 to -30 degrees Centigrade, more than the permissible 100 grams of ice buildup happens in that area. This is considered a serious issue because if too much ice breaks up and is sucked up by the inlet, an engine malfunction could occur. Of course the Philippines is a tropical country so this is not an issue for us at low altitudes, but at higher altitudes where temperatures are much colder then the danger will be there. The solution involved redesigning the affected sections and improving the effectiveness of its de-icing systems. It took some time for the Surion’s manufacturer, Korea Aerospace Industries (KAI) to implement the solutions to the problem, but the latest news is that just this June 2018 the Surion passed when it took the tests again, so this issue is now closed. The Surion’s problems doesn’t end there, though. In July 2017, South Korea’s Board of Audit and Inspection (BAI) noted down a number of problems on the aircraft, starting with its Lack of Engine Certification. This issue is worsened by the fact that in February 2015, one Surion had to make an Emergency Landing while another crashed due to Engine Failure. The Surion’s engines are based on General Electric’s (GE) T700 model that were license built and reportedly heavily modified by Hanhwa Techwin and redesignated as the T700-ST-701K. Another issue the BAI highlighted is the aircraft’s Lack of Lightning Protection, and this is critical for us since we have a long Wet Season where rains are frequently accompanied with lighting. If the aircraft is hit with lightning while in flight and it is not adequately protected, it could cause failure Electrical systems, or worst an explosion could occur if its fuel lines or fuel tanks are hit. Other issues that the BAI cited were the Lack of Flight Stability and Water Leakage, although not much details were revealed about these two issues. Again, like most of the problems cited in previous paragraphs, I could not find any articles showing that these have been fixed by KAI. Of these eight (8) problems, only two (2) have definite closures, the Defective Gearbox and Icing Problem. The remaining six (6) I am just assuming have been fully resolved already since the Surion is still flying. Either no solid closures were released publicly about these other problems, or at least I just couldn’t find such closures. In fairness, other helicopter designs have encountered problems at one time or another during their service lives also. The UH-1 Huey Combat Transport Helicopter we are using and the AH-1 Cobra Attack Helicopter we are getting suffers from what’s called a Mast Bumping Problem12 wherein the inside of the Main Rotor of the helicopter hits the Mast which, if severe enough, could break off the mast and cause a catastrophic crash. It is a design problem that has not been fixed over the years, just effectively managed or avoided. We have been operating Hueys for decades now, I am not sure how many of our helicopters have had this problem. The early version of the H145 which I blogged about a couple of months ago13 turned out to have an inadequate Environmental Control System when it first went into service with the United States (US) Army. It was found that the cockpit was getting too hot even if the temperature outside was just lukewarm.14 However, it does seem that the number of problems found on the Surion is a bit more than those found on other helicopters. The Surion’s many technical problems eventually led to a formal investigation by the South Korean government last year in 2017 which in turn resulted in a huge corruption scandal involving KAI. Subsequently, ten (10) high ranking KAI officials were indicted or formally charged in court for various corruption charges. These officials were accused of things like claiming to be undertaking the development of the helicopter but in fact had outsourced the work to 20 other companies. Another accusation was them creating an overseas company, awarding it with contracts and then inflating the development costs. Other accusations include the hiring of fifteen (15) unqualified individuals just because they had close ties to South Korean government officials like Politicians and Military officials. The court proceedings are still ongoing up to now for these charges. Suprisingly, though, while the Surion has had a lot of problems, the FA-50PH that we bought from the same company has not anywhere had as many issues, which is a very good thing for us. The sheer number of technical issues, the seemingly lack of proper closure in public of these issues, and the formal corruption charges in court of its manufacturer doesn’t really inspire a lot of confidence for me in the Surion helicopter. However, I am not saying we shouldn’t buy it, but if we do, I think we need to make sure that we raise the technical issues with the manufacturer and ensure that these have been closed with the proper documentary evidences to back them up. If not, the effects of these issues could occur if we decide to buy and use them, and our local Press will have a field day discussing it. But everything is not necessarily all dark about the Surion, it does have some good features also as I will write about later in my next blog. If all the above problems have really been solved, then we could still end up with a good aircraft in service with our armed forces in case we do purchase it. A picturesque side view of a KUH-1 Surion helicopter. Photo courtesy of Wikimedia Commons. The H145M for the Philippine Armed Forces? Previous PostAH-1 Cobra Attack Helicopters for the Philippine Air ForceNext PostThe KUH-1 Surion Helicopter for the Philippines? The Mi-17 is a better, combat proven and more reliable option. I have searched for problems related to the Mi-17, and I couldn’t find many, at least not as many I found on the Surion. I proposed each branch of the AFP should operate helicopters and it’s time for the Philippine Army to operate attack helicopters and combat utility helicopters similar to their Southeast Asian counterparts. Note – PAF should transfer their 8 units existing AW109E to Philippine Navy. MD-520MG becomes a training helicopter after replacement. Note – If Bell Textron USA will not allow us to buy their helicopters we can acquire 16 units Bell 412EPI in Japan in 2020’s or convert to Medium-lift for now then CUH later. AgustaWestland AW109E (Armed/utility) – 5 existing + 8 transferred equals 13 units total. Note – AW159 to embark on brand new 4 frigates and 4 corvettes. AW109E to embark on 4 Tarlac-class LPD (1 on helipad, 1 on hangar), 1 modified hospital ship (1 on helipad, 1 on hangar) and 3 Gregorio del Pilar-class patrol frigates (1 on helipad each ship).